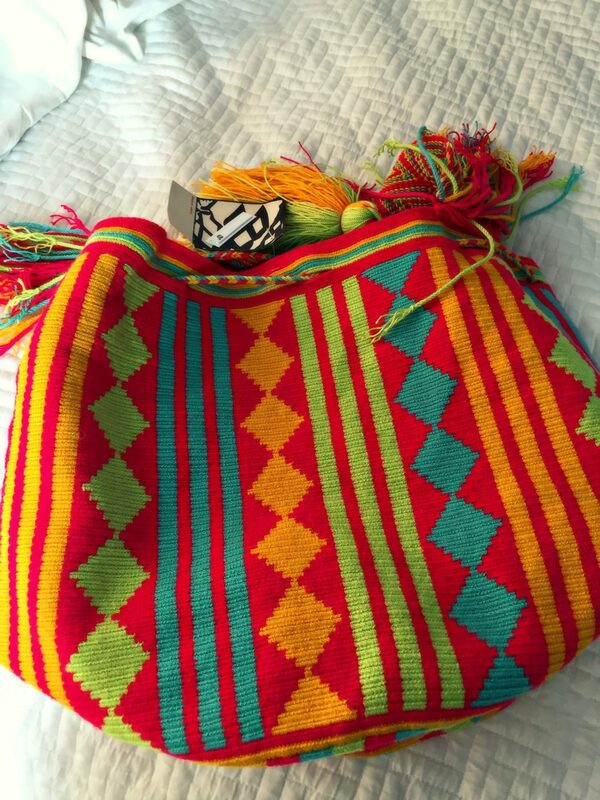 I arrived in Cartagena, Colombia after an hour plane ride from Bogotá. There are three climates in Cartagena: Hot, Hotter and Hottest with an occasional gust of wind. Immediately, I conjured notions of melting like the Wicked Witch in the Wizard of Oz. The thermostat reached 80 something but with 90 percent humidity sweat dripped from my face and other crevices of my body I won’t admit. The locals blame Global Warming. I fault Mother Nature in need of hormone regulation. Cartagena de Indias was founded in 1533 and named after Cartagena, Spain. It’s a city of approximately 1.2 million people nestled conveniently on the Caribbean Sea. It’s known for its active port, tourism and oil. Cartagena served as a valuable port to the Spanish for nearly 300 years and was repeatedly attacked and destroyed by pirates wanting access to riches. Goods along with gold, emeralds and silver traveled by road throughout Peru and Ecuador and then by ship from Cartagena to Panama to Puerto Rico or via Havana and to Spain until the 1800s. It wasn’t until Colombia fully gained its independence that Cartagena’s economy declined greatly and people abandoned the city. Staying in the old city is a must. 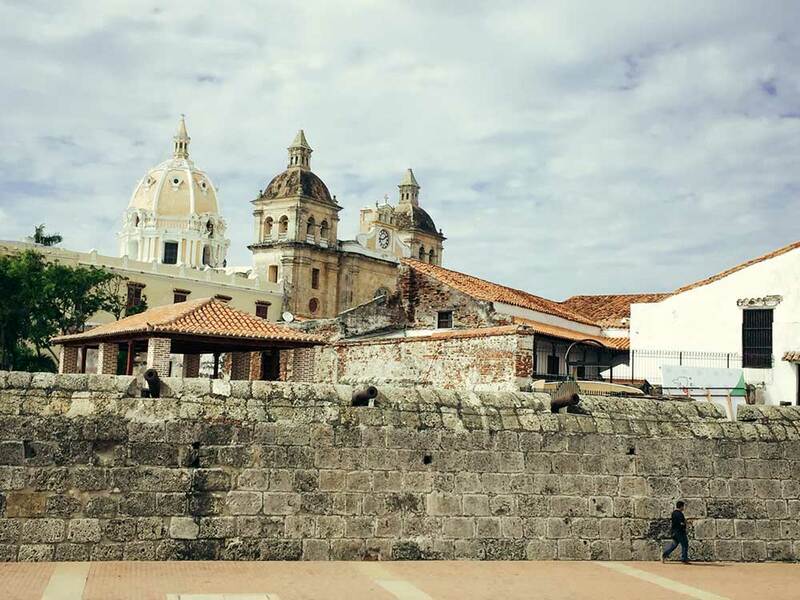 While Cartagena is a gentle mix of old and new, the brightly colored restored colonial mansions, convents and narrow alleyways suggest a rich history filled with hardships and sacrifice yet wealth and opportunity. 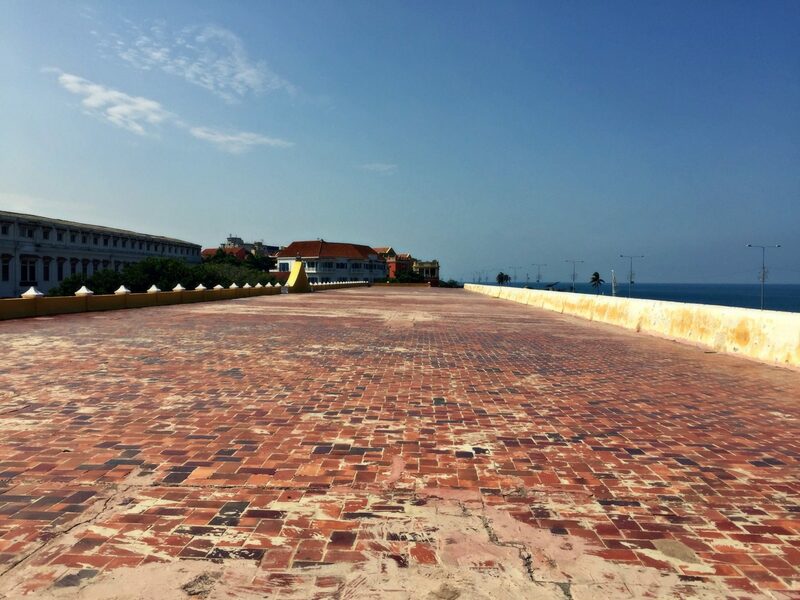 The wall, which separates Cartagena’s past from its present took more than 208 years to build and was approximately 11 kilometers (6.8 miles) around the city. Today, much of the original wall stands. I spent hours walking along the wall admiring sea views, church towers and radiant sunsets. Wandering through the old city can be done on foot or horse carriage. There are distinct plazas dividing the town each marked with a church and filled with statues and beautiful gardens. Locals peddle artwork, purses and shoes on the street and restaurants cater to tourists serving the typical specialty of coconut rice, ceviche (raw seafood salad) and sugarcane water. I sampled mojitos (take note Cuba, the Colombians do it right) and thoroughly loved the ceviche since it’s made fresh and prepared without onions. Find a restaurant with live music. It’s worth the effort. If you prefer shopping, plenty of stores will cater to your desires for emeralds or crafts. I admit I am a witch! I recommend hiring a guide and walking the old city on day one. 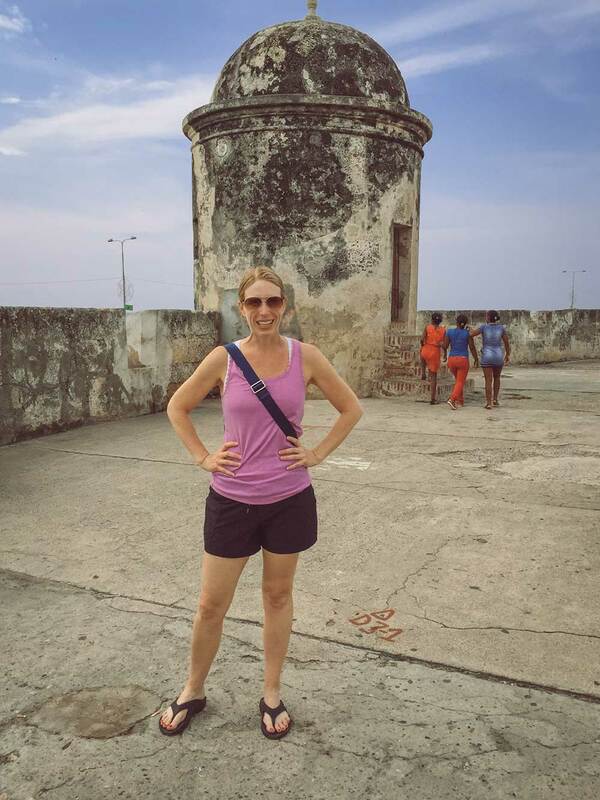 It provided me with a sense of Cartagena’s history and allowed me to make a mental note of the churches and museums I wanted to see more in depth. I’ve always had a soft spot for witches and the Palace of Inquisition delivered my aspiration to live a former life of sorts. 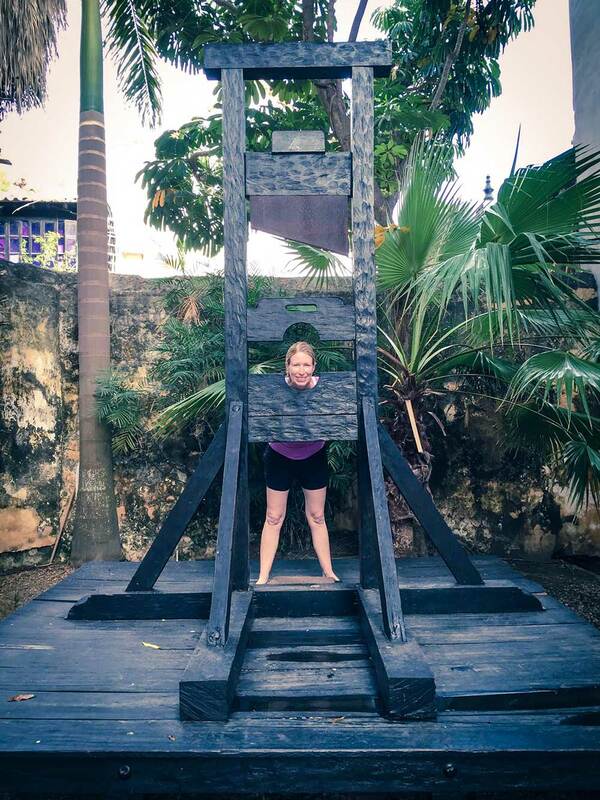 Locals say Cartagena is a place of myth and legend and burning people at the stake or execution by guillotine adds to the allure. Cartagena served as the third in the Spanish empire to have a Holy Office of the Inquisition. It tried all non-Catholics and others who practiced “black magic” from roughly 16th century until independence from Spain in 1811. Outside of the old city sits the neighborhood of Getsemaní, which is still strangely within the original fortification and about a 5-10 minute walk from the clock tower or focal point of the old city. Getsemaní served as the servant quarters in colonial times and is now enjoying a rebirth with new restaurants and music clubs popping up on every corner. While the old city provides a handful of 4-5 star hotels, Getsemaní advances the cause of backpackers who can be found hunched over on sidewalks in the morning and frequenting drinking establishments in the evening. 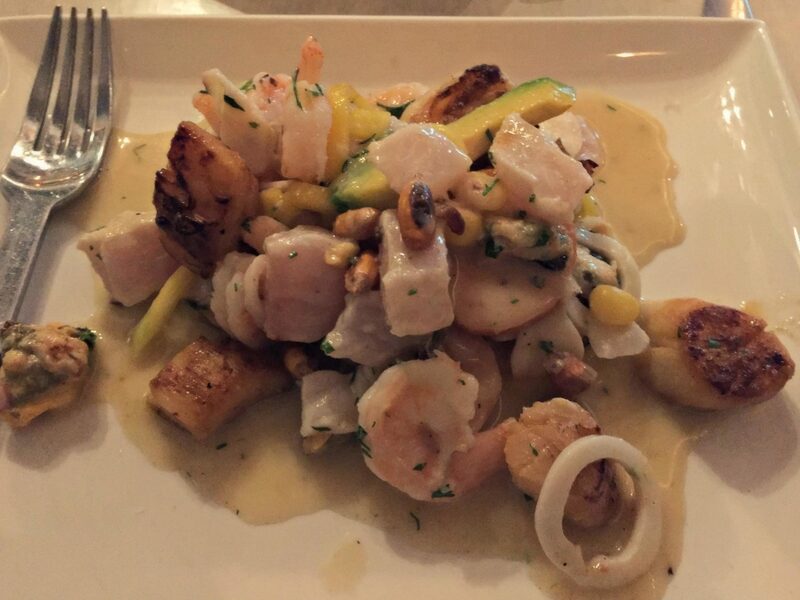 Whether you are alone or with a group of friends of all ages, Cafe Havana on the main drag is not to be missed. The $5 cover charge includes a tasty and strong mojito and a mix of locals and tourists dance until the early morning. Getsemaní also is home to the Miss Colombia Pageant, a source of pride for the entire country. Pictures of former contestants grace billboards and decorate walls in many restaurants in Cartagena. It’s important to mention luxury hotels have sprouted up along the coast in the neighborhoods of Bocagrande and Castillogrande. The guides refer to the area down the peninsula as the Miami Beach of South America because of the high-rise apartments and expensive boutiques but to me the area is a fine example of modernization. 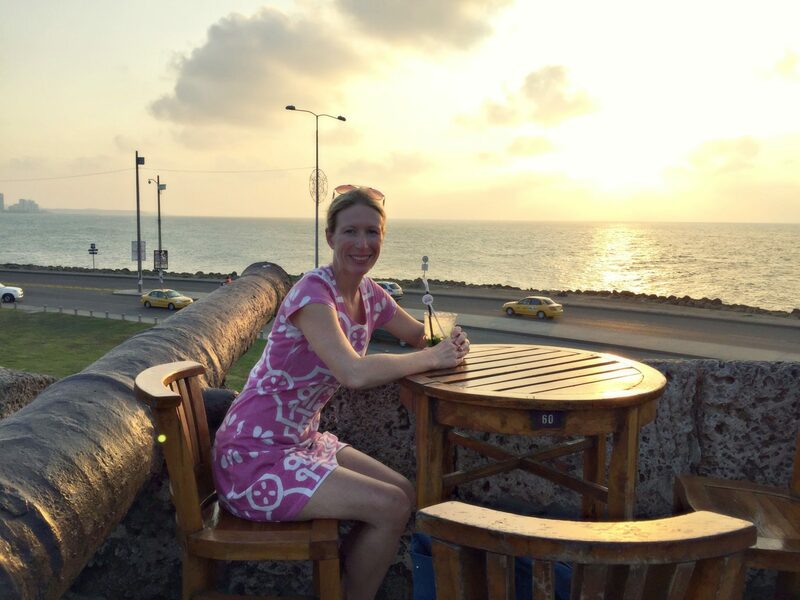 If you are visiting Cartagena for the weather and want to stay at a fancy hotel, walk to Juan Valdez for coffee and hear lots of traffic, then it’s possible Bocagrande/Castillogrande is the place for you. I admit the area provides incredible views of the Caribbean but possesses little character. Since I was celebrating my birthday in Cartagena, I chose to spend the day on the high seas. I booked a tour to the Rosario Islands about a 45-minute boat ride from Cartagena’s port. 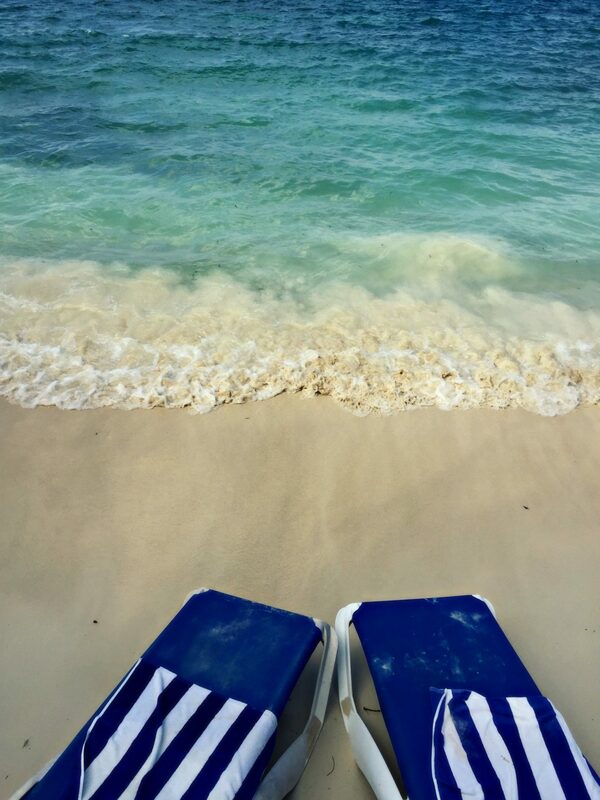 As the boat neared the dock at Majagua, white sandy beaches and a colorful spectrum of Caribbean Sea greeted me. Layers of turquoise and aqua colors blanketed the ocean’s surface and darkened as the shallow floor gave way to deeper waters. The salt water stung my freshly burned skin but with a soft silky touch, the water’s temperature warm and inviting. Birds circled and waves crashed. Locals hustled jewelry and fresh lobster (or not so fresh as I was warned). My gracious hosts prepared a local birthday dessert consisting of fruits and jelly. They must have noticed the disappointment on my face and quickly returned with a brownie with ice cream and a Spanish version of Happy Birthday. I eaves dropped on my fellow tourists, attempted to read my travel magazines and relaxed with an open-air massage. My only advice is to bring an extra towel. Towels are for “el cuerpo solo” (the body only) and I learned with rapid hand gestures legs and feet are not part of the equation. 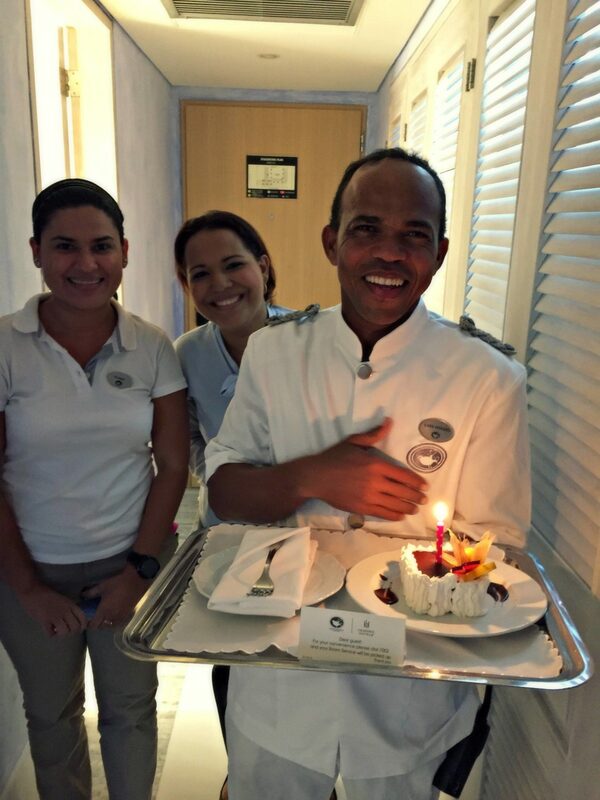 When I arrived back to the hotel, Charleston Santa Teresa, my lovely tour operator surprised me with another birthday dessert. A chocolate cake lined with real whipped cream and filled with a sweat fruit layer. It looked big enough for two people but I didn’t want to disappoint anyone so I ate it all. I really need to stop telling people it’s my birthday! Eating three desserts might be over the top. 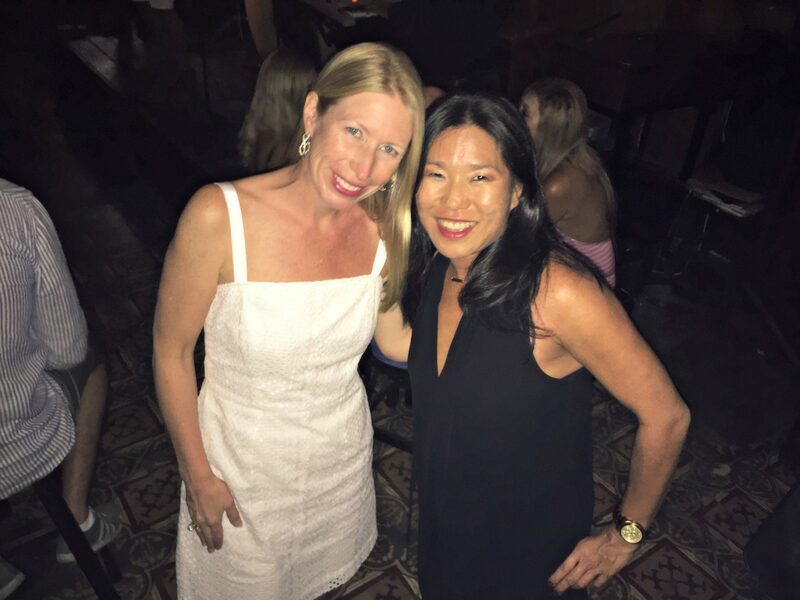 I finished the celebration dining at Cuzco Cocina with my new friend Zoe from New York City via Australia, dancing, eating and drinking (damn mojitos) the night away. At 2:00 AM, I confidently swerved back to my hotel taking selfies in various parts of the old city. It may seem I am a better photographer under the influence. Whether you spend a long weekend or two weeks in Cartagena, make the most of your trip to this vibrant and historic city. *Walk in the rain. Watch the drops beat against the sea and the old wall. Nature’s sprinkler greeted me on a morning walk and I was thrilled. *Grab a seat at Café del Mar for sunset. *Dance the night away sipping mojitos, drinking beer and learning the salsa. Colombian music is fantastic.